We use the traditional world famous Hawaiian quilting stitch/applique method. Approximately 60" diameter, It has bow tie strings for easy closure. If you have any questions about this product by Hawaiian Quilt Wholesale, contact us by completing and submitting the form below. If you are looking for a specif part number, please include it with your message. 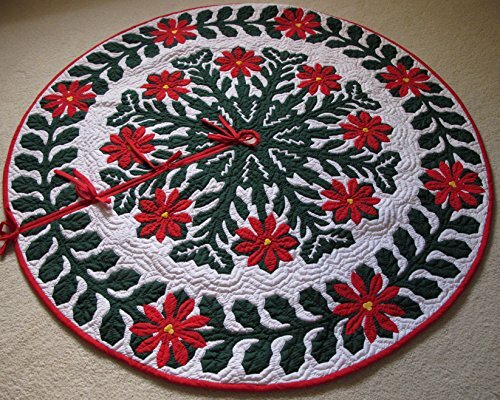 Hawaiian quilt 100% hand quilted/hand appliqued Christmas tree skirt 60"